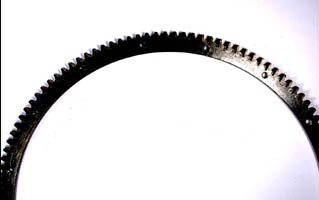 When you're running with a 12 volt electrical system, the ring gear can take a beating. Be sure to check yours anytime you have the engine apart. It is not expensive to replace - unless that is the only reason you have to take the engine out of the car.